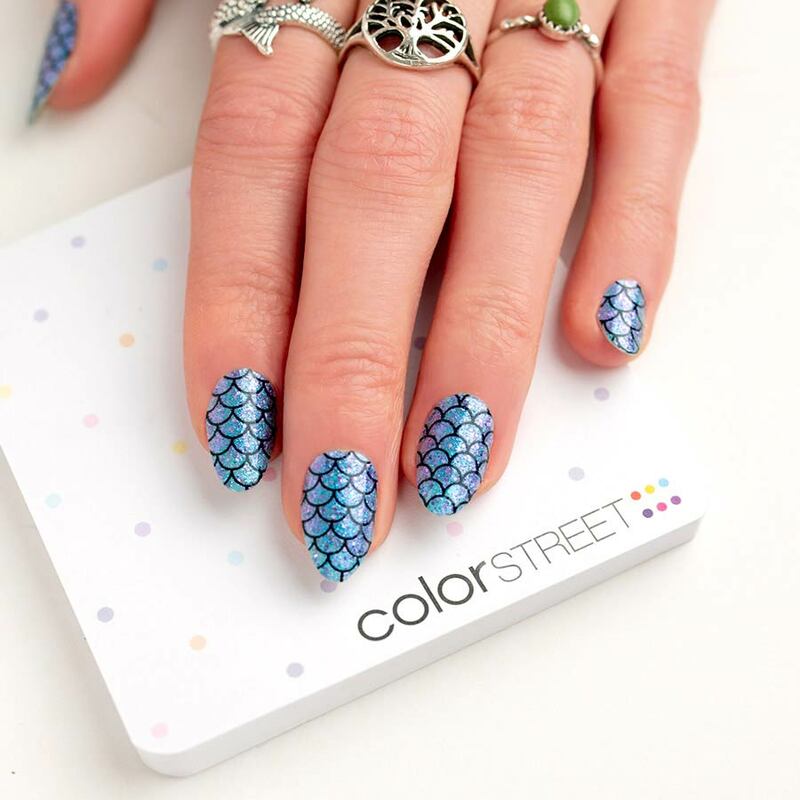 Top your tips with the blue and purple mermaid glitter of Atlantis nail art! Glitter finish. 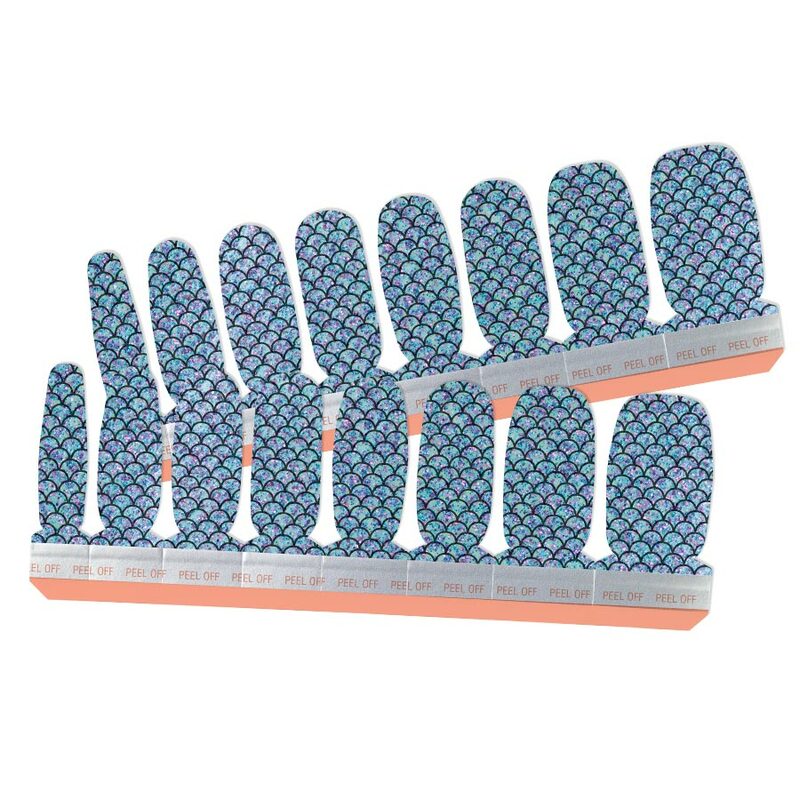 Each set includes 16 double-ended nail polish strips.